Can you believe that St. Patrick’s day is less than a week away? 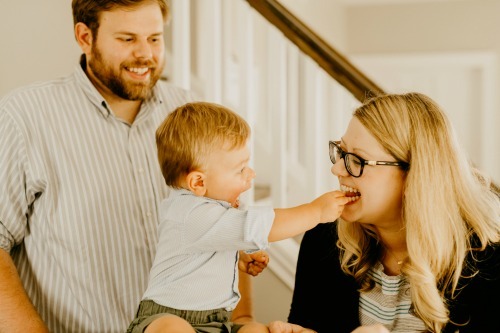 Time is just going by so fast this year…maybe a little leprechaun is playing a trick on me and has taken all my time and is keeping it by a pretty rainbow somewhere…that’s the explanation i’m going to go with, ok? Even though I’m not Irish, green happens to be my favorite color so that’s reason enough to celebrate the holiday, right? 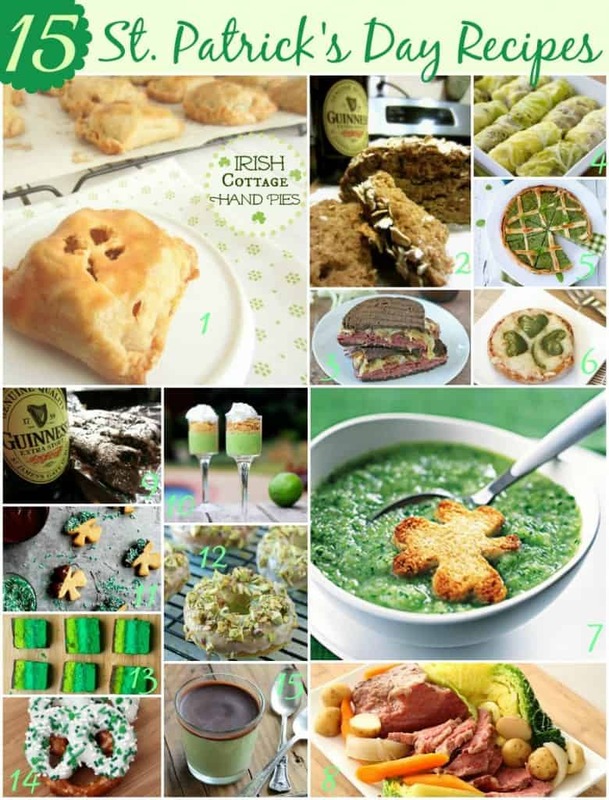 Here are 15 St. Patrick’s Day recipes from around the web-numbers from the picture match the source of the image and where the recipes can be found. What will you be making this year? 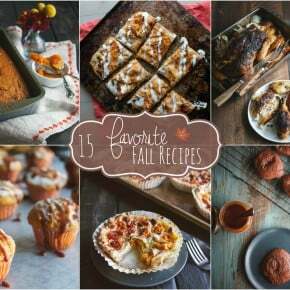 What a great list you are sharing today, still love your hand pies, they are great! Awe thanks for the lovely comment Cheri! I’m so glad you love the hand pies-my husband was just asking me when I was going to make them again lol. I will definitely have to make another batch asap in time for St. Patrick’s Day!